Really, Spiel des Jahres jury? 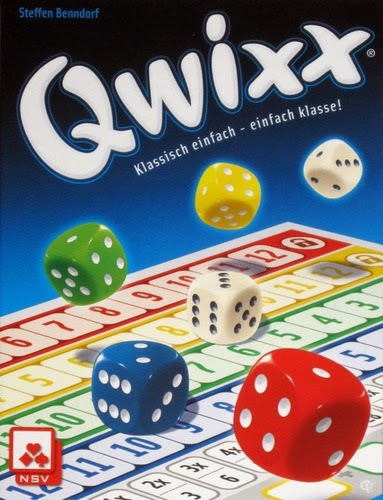 The game comes with 6 dice - 4 different colours and 2 white - and scorepads. And that's it. It's simple to play and everyone is involved throughout. The active player tosses all the dice and calls out the sum of the two white dice after which every player including the active one has the option to mark off any of the 4 coloured rows with the number called. After that the active player may instead or in addition mark off one of the coloured columns by using the corresponding colour of die added to a white die. The catch is you can only mark off columns going left to right, reminiscent of Lost Cities/Keltis. If the active player can't mark off a number at all due to this, they take a -5 penalty which should be kinda exciting but really only happened once over our entire 2 games. Okay, it's not terrible, not by a long shot. It offers decisions throughout and keeps everyone involved during it's short play time. But in the end rolling six dice and then crossing off a number just isn't that interesting. Honestly, Yahtzee provides more excitement than this one. Or even much, much better, how about the suspense of the classic Can't Stop, which was just re-printed last year? 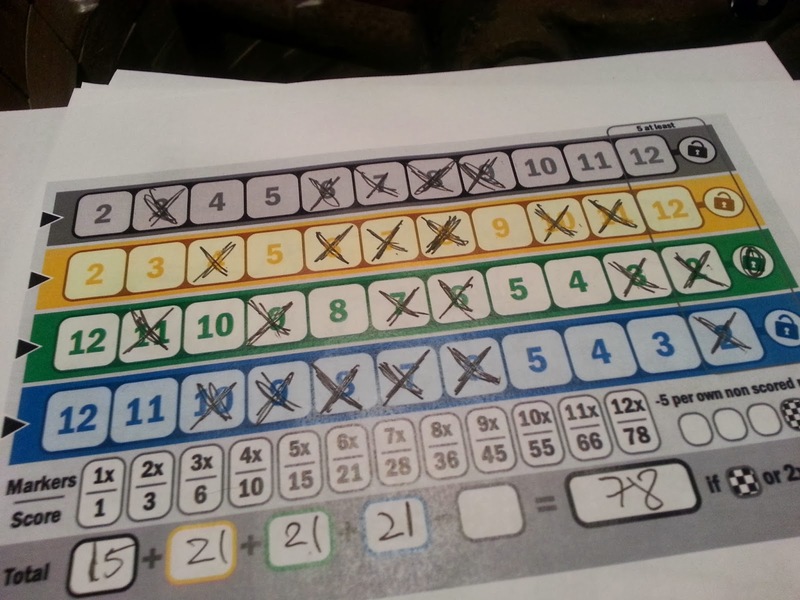 On the plus side, I was able to download and print off the scorepads from Boardgamegeek so I could try before I buy. Just had to find the right-coloured dice. Feel free to do the same and you'll know if this little pastime of a game is your thing. It sure isn't mine.